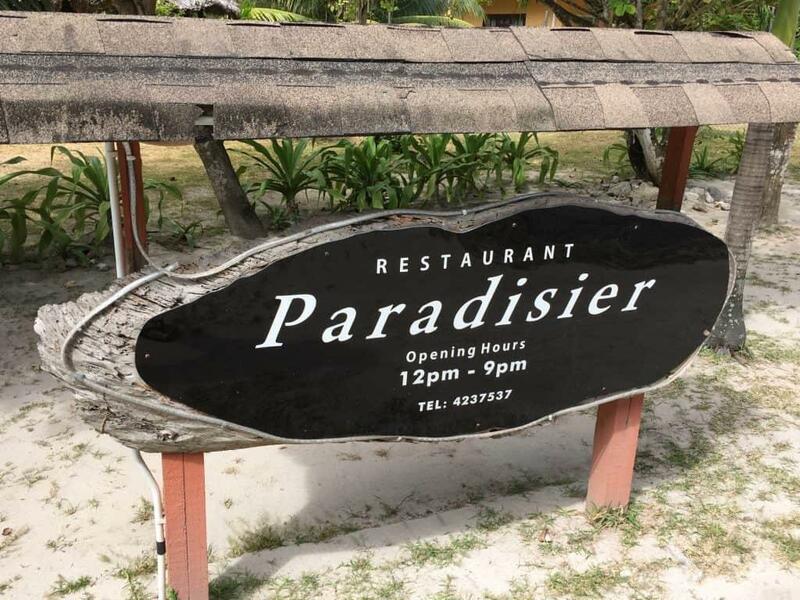 Paradisier restaurant is located just off of the road in Grand Anse on Praslin Island, Seychelles. 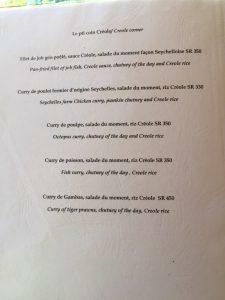 It serves up fantastic seafood and creole dishes at prices a bit higher than the norm on Praslin. 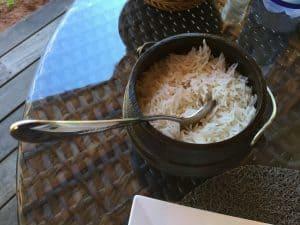 The restaurant itself is wonderfully laid out with the tables being in an open sided room under a thatched roof. 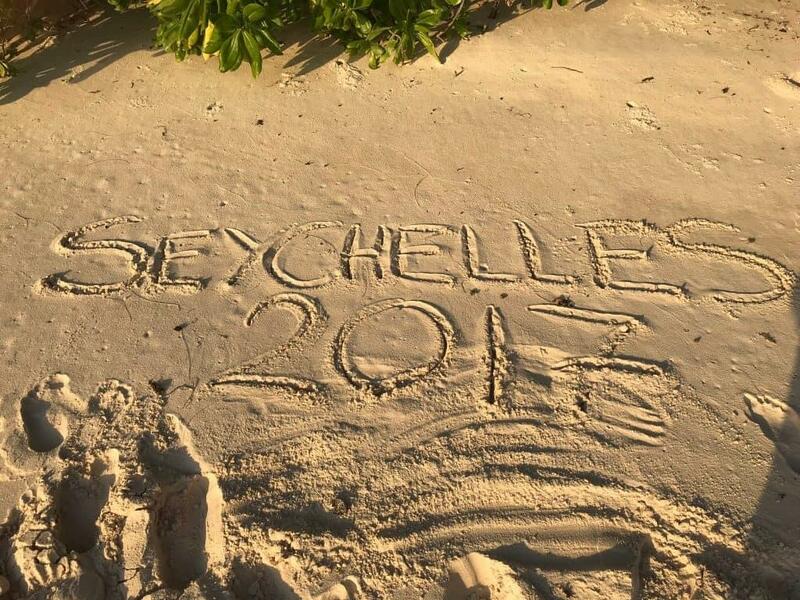 The only downside to Paradisier restaurant is that it is set back from the sea. Unfortunately the front looks out onto the road and then a corrugated metal fence the other side. This certainly didn’t put us off our meals as the food was simply outstanding but a shame on an island such as this not to have a sea view. The food was the winner here. 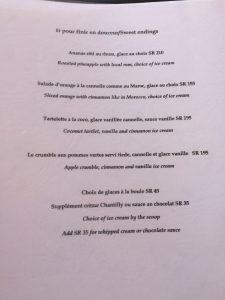 This was the first real luxury menu we’d had on the Seychelles. 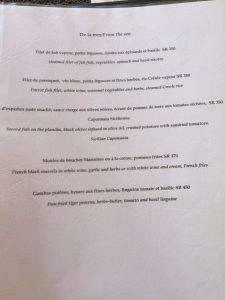 We’d opted for self catering so didn’t eat out too much but of the places we did this was the best quality food we ate. 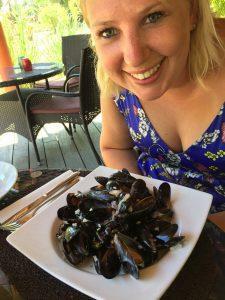 Becca had mussels in a creamy sauce and I opted for parrot fish in a revenge move after one tried to nip my finger whilst we were out snorkelling. In for a penny, in for a pound! Make sure you stick around for dessert if you’re here. I had pineapple with some beautiful rum and Becca went for the crumble. Both were amazing despite the fact we were already stuffed! 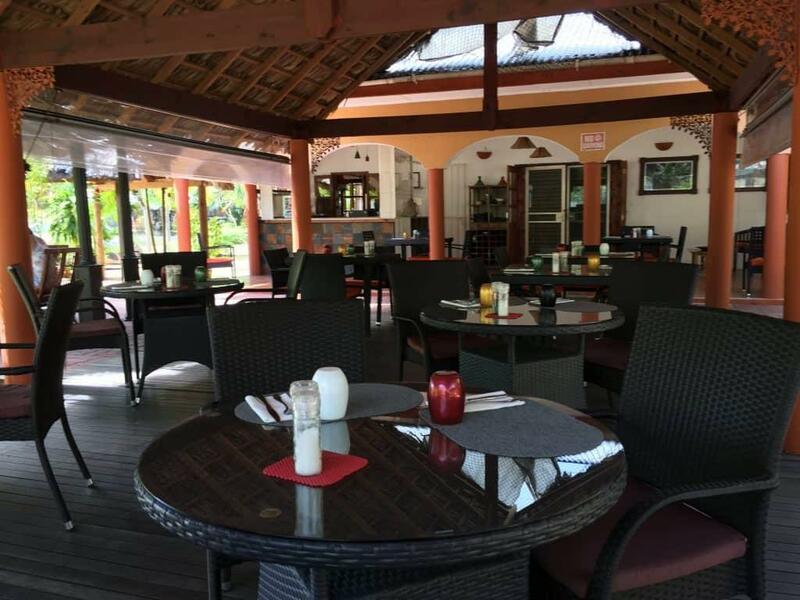 We’d recommend taking a trip to Paradisier Restaurant as a luxury whilst you are on Praslin Island. 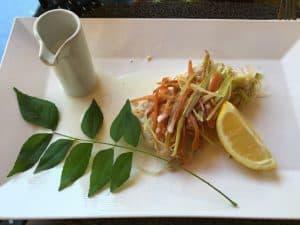 It’s a bit more expensive that other places but you get what you pay for – and what we got was the tastiest food we ate on our trip to Seychelles!